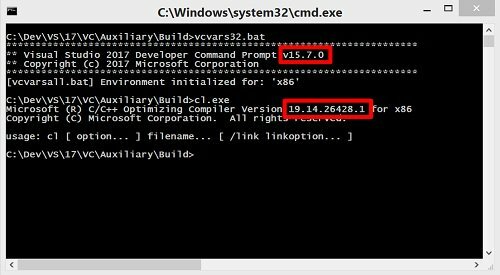 Unlike the full studio, this installer does not have to install VS IDE Core and accordingly through BuildTools you do not have to install a visual development environment. Through this, an attempt is made to reduce the weight of the installer and reduce the size and impact on Windows. There are no additional features BuildTools does not provide (ie it is of the type "toolchain of small soft" … I think it would be worthwhile to call this modification so that everything was immediately clear … but apparently the desire to be unique and unique prevents them from using already available terms). Hard disk space: 1 GB to 10 GB, depending on the installed components. At the request of workers, Microsoft has erupted the installer exactly the means of assembly.